Drawing on all facets of our firm’s knowledge base, this project made use of our experience with historic transformations for 21st century living, our expertise in modern design and detailing principles, and our facility for successful, smooth planning experiences. 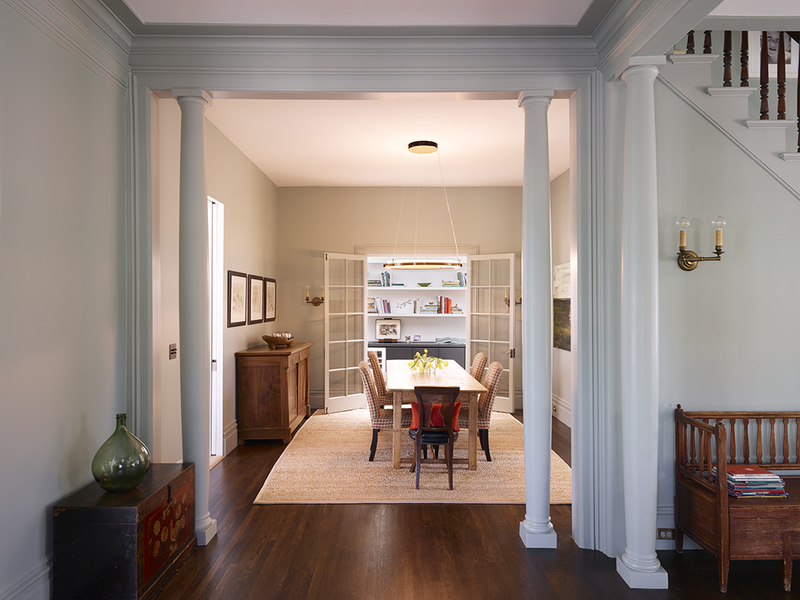 Fundamental to our design approach, and the client’s wishes, was the importance of preserving the historic character of the original 1867 house while resurrecting the building’s integrity, which had been compromised by years of ad hoc appendages. 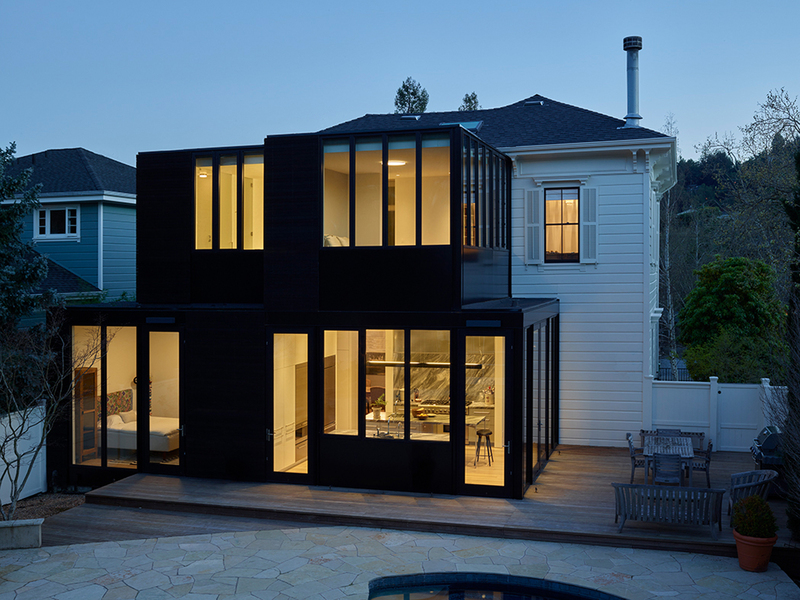 From there we envisioned a modern, artful intervention that distinguished itself from the Victorian in a compatible way, while adding space and remedying issues of darkness and circulation within the traditional interior. The relationship of the new addition to the original house was carefully considered—‘sliding it in’ to nest under the decorative eave line. 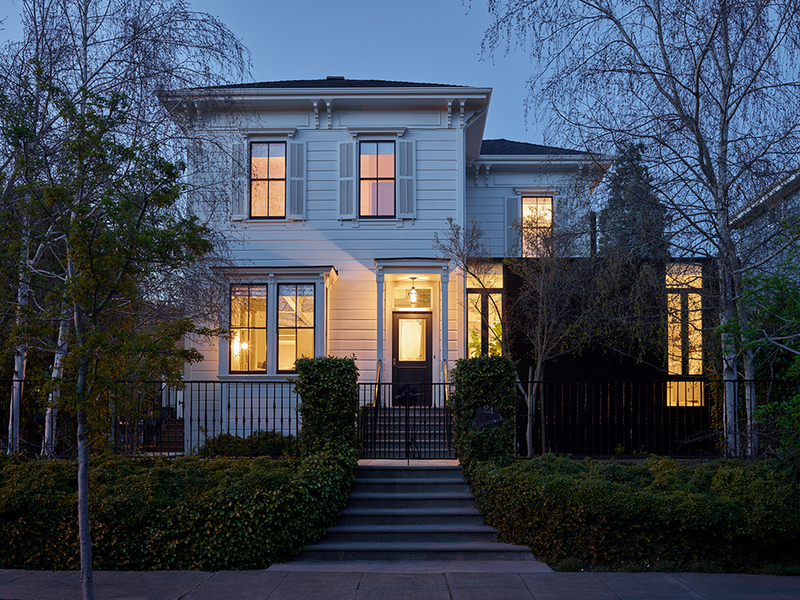 The addition celebrates the tall, stately, voluminous proportions of the Victorian with new windows derived from the scale of their counterparts. 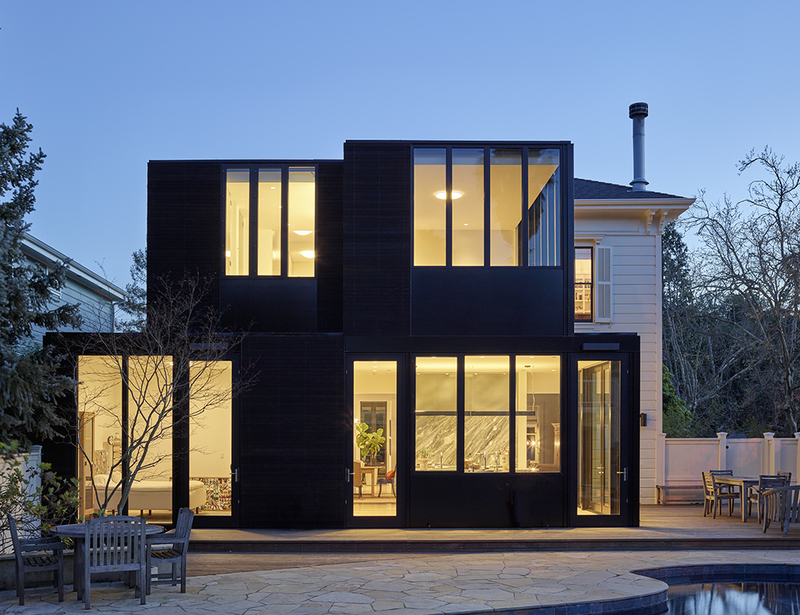 Modern siding materials—an oxidized redwood rain screen and painted steel panels—were chosen specifically to differentiate themselves entirely from the Victorian fabric. 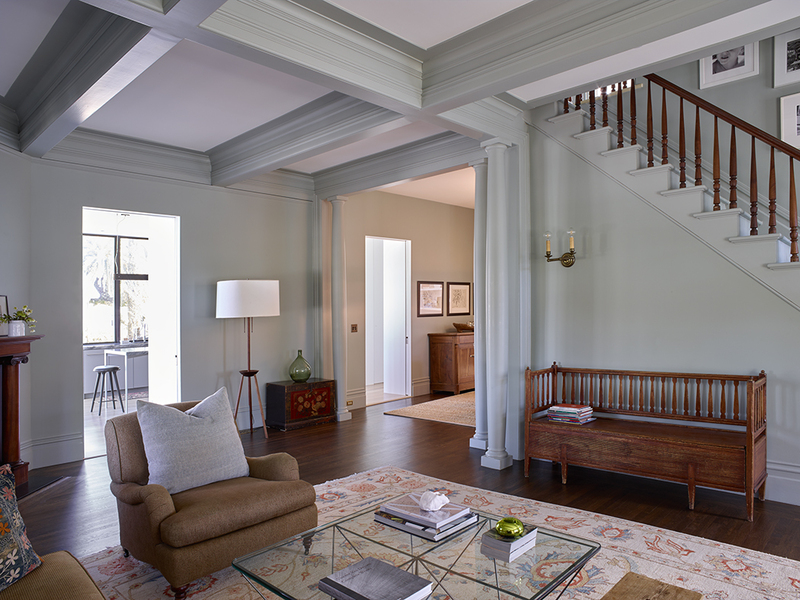 By making use of the existing addition foundations and footprint we were able to minimize impact in the home’s historic district and maximize the client budget for other parts of the project. 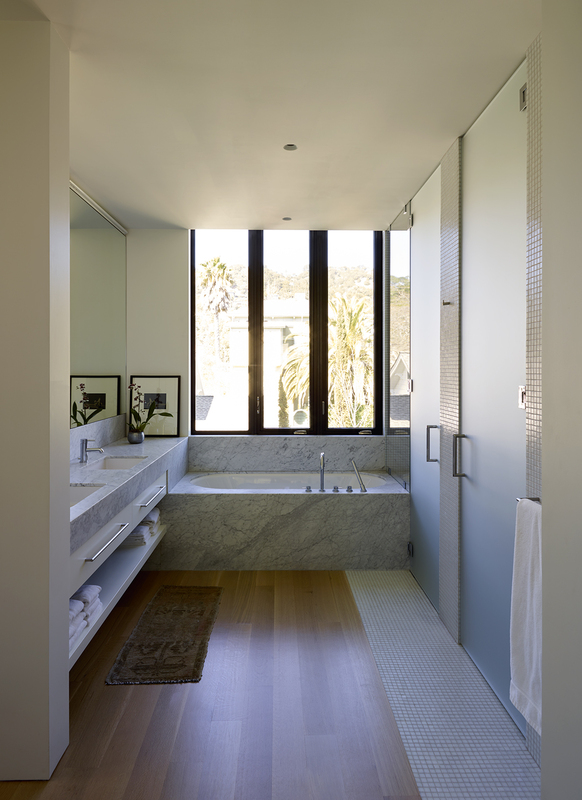 This parameter also posed the project’s main design challenge: to get the interior program to work in a meaningful way, especially in creating a seamless connection from the upper floor’s hallway access into the new wing. Two new spaces were gained by the addition’s design strategy. On the main floor the new library and entertainment space spans the length of the eastern addition—a vehicle for natural light and a dramatic transformation of interior flow. The library is on a property line wall—California’s building code restricts adding windows in this circumstance, which we took as a creative opportunity to design a large skylight with diffused glass lay-light for the space. 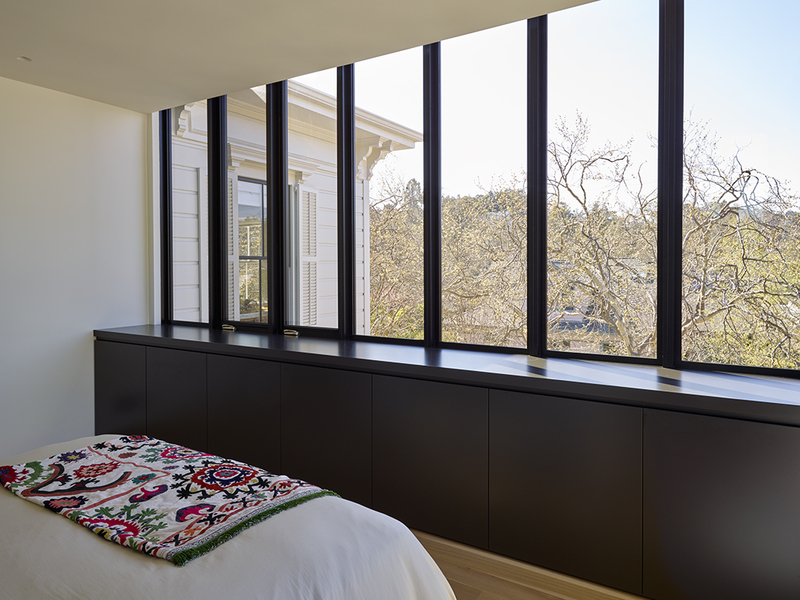 On the second floor the new master suite opens up to northern views of the hills not before available from the house, as there were previously no windows on the rear façade (deemed unnecessary as it was “the back of the house”). The upper floor’s outlook is enhanced by the ceiling plane’s modern treatment—its clean line floating toward the wall of windows.